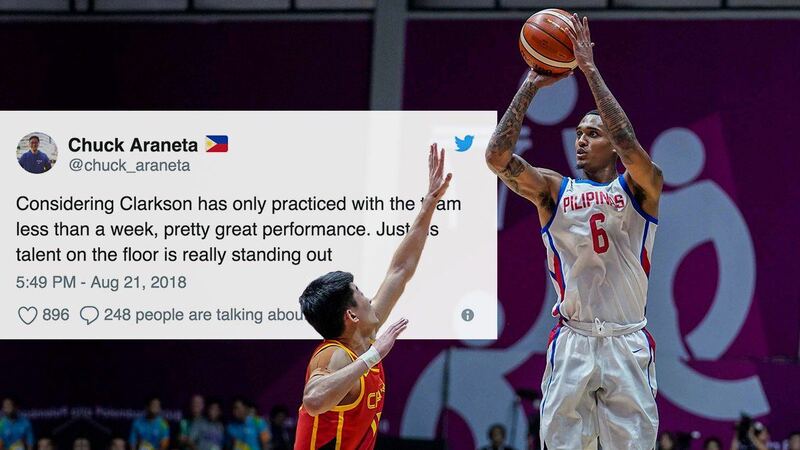 Heading into today's game, Pinoy hoops fans couldn't contain their excitement for Jordan Clarkson’s re-debut for our Gilas Pilipinas in this year's Asian Games held in Jakarta, Indonesia. 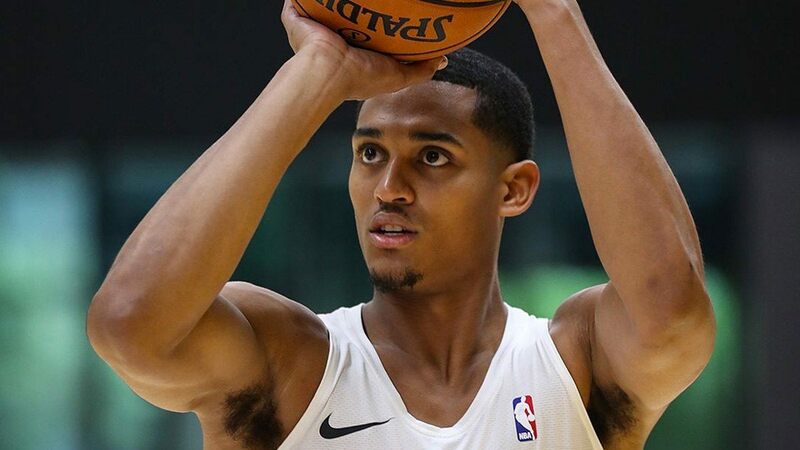 While there are a lot of fans who just want to watch the Fil-Am baller go to work on the court and lead Gilas to victory, there are some skeptics that have raised some valid questions about Clarkson’s return to play for our national team. And some of those questions have been answered, while some, have not followed up on the question marks. Clarkson started the game for Yeng Guiao’s high-caliber team at the shooting guard position, with Stanley Pringle running the point supposedly. Still, Clarkson was usually the one bringing the ball up the floor and was the one who ran plays for the team. This tandem of Pringle and Clarkson at the guards didn’t look synchronized at all. While Clarkson continued to force shots when the defense found a way to interrupt their offense, which was often, Pringle sat on the wings without even touching the ball. This has got to be one of the key aspects of the team that Yeng Guiao has to work on. Also, with Clarkson on the floor, some players got limited minutes to give the Fil-Am ample time to work. It didn’t pay off though, as Clarkson continued to put up empty baskets, missing more than the shots he was making. He made one of his seven shots from beyond the arc by the end of the half, with China leading by five, 31-36. Jordan Clarkson, however, rallied back with threes early in the third quarter. Yeng Guiao’s focus on the offensive end was to play off Clarkson, which was both a good and bad thing. This attracted the defense and made Clarkson open up opportunities for his teammates—that is, if he chose to pass it up or force shots even more. More often than not, he chose the latter. Other players who were left open with high percentage shots ended up standing still while Clarkson tried to take control of the game. In the fourth quarter, Jordan Clarkson had no contributions to show and was taken out late in regulation because of cramps. But the other Gilas players picked up the slack for him, draining threes, capitalizing on mistakes by China, and making free throws to take the lead for the first time in the game at 76-75. But coming from behind, China executed runs late in regulation to win against our national team by only two points, 82-80. In the end, Clarkson had the most points for Gilas and definitely made a huge impact for the team, but it wasn’t nearly enough to give us the victory. And the close game that we had was all because of the hard work of Christian Standhardinger, Stanley Pringle, and Paul Lee, who each made an impact of their own, showing fans what puso is all about. It’s back to the drawing board for Yeng Guiao and our Gilas Pilipinas as they need to find a way to execute better offensive plays while remaining consistent on the defensive end. The key strategy they need to conjure up: how to efficiently use Clarkson’s skills and abilities without him taking too much of the possession while also being an outstanding support system for his teammates.